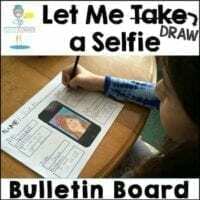 A fun “Back to School” activity crafted on fidget spinner templates. 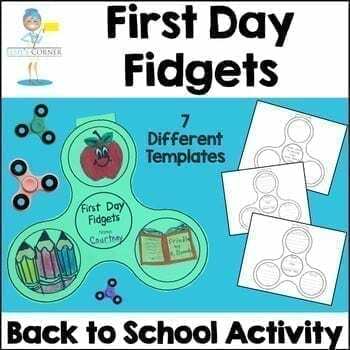 They’ll also get to incorporate some creative artwork onto their fidget spinners. 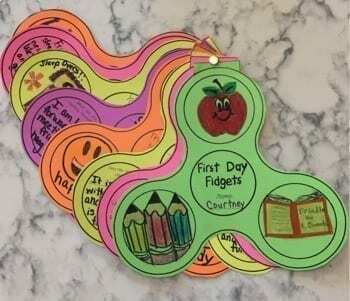 After the fun work is done, fidget spinners can be fastened together to make an adorable craftivity. 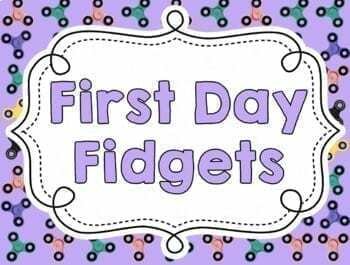 Bulletin board signs (“First Day Fidgets” or “A Fidgety First Day”) are included for a great “Back to School” display.